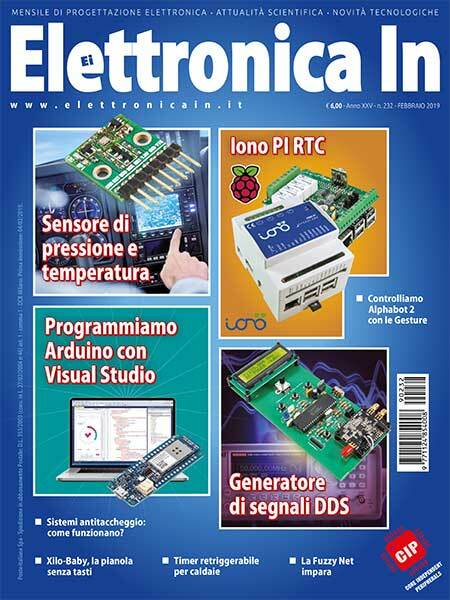 Since its introduction, Strato Pi has become increasingly popular for the development of professional applications based on Raspberry Pi. The availability of a galvanically isolated RS-485 port, supporting Modbus and other communication protocols, is one of the driving factors to Strato Pi’s success. There is, however, a robust demand for other field bus applications based on widely adopted standards and CAN bus is definitely one of the most relevant. In quite a few environments where CAN is used, the preferred power supply may be higher than 28V, possibly 48V or more. 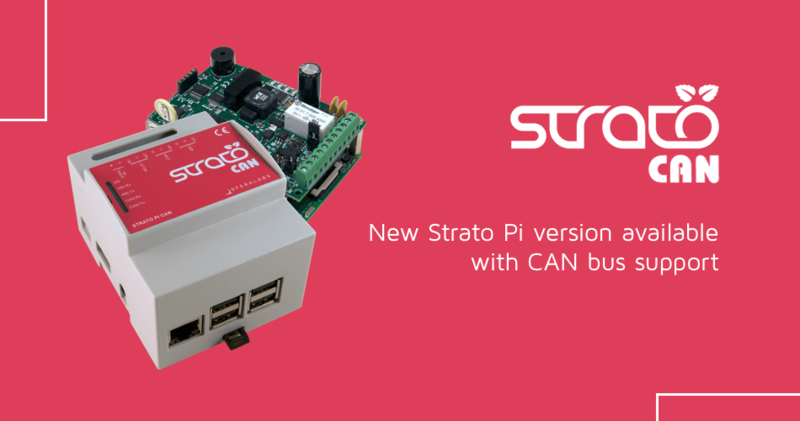 To address these needs, we are very pleased to introduce the new Strato Pi CAN, an extension board for the Raspberry Pi that offers a standard CAN bus interface based on a very well supported CAN controller and a robust, galvanically isolated high-speed transceiver, and a very wide range power supply, allowing you to reliably power the Raspberry Pi from 9VDC up to 65VDC. Strato Pi CAN offers a real time clock with back-up battery, together with a hardware watchdog, on-board buzzer and a relay with both normally open and normally closed contacts, easily controlled by one GPIO line. Also, Strato Pi CAN has exactly the same RS-485 interface of the other Strato Pi boards, with galvanic isolation and automatic, transparent TX/RX switching. Both the RS-485 and CAN bus interfaces can be used at the same time, as they are driven by distinct, independent serial ports on the Raspberry Pi. Strato Pi has allowed our customers to use the Raspberry Pi for powerful, innovative and successful applications, and we believe the new Strato Pi CAN board, as well as the fully assembled Strato Pi CAN server, will be expanding the application areas for the Raspberry Pi even further. The new Strato Pi CAN can be ordered today, with initial shipping time of three to four weeks.